Remember when Kendall Jenner brought the revolution with a can of Pepsi? In an era when big brands seem especially desperate to prove they're woke, PepsiCo has again ignited ridicule, this time for CEO Indra Nooyi's comments in a January 31 interview with Freakonomics. Speaking with interviewer Stephen J. Dubner, Nooyi described how PepsiCo has been working to develop female-friendlier versions of their snack-food. Among the considerations, she said, were that women "don’t like to crunch too loudly in public. And they don’t lick their fingers generously and they don’t like to pour the little broken pieces and the flavor into their mouth." "I was like, no way is this real," Letizia told Seven Days. "We started just joking and bantering about women not chewing too loud and God forbid a woman make a noise in public." Of the Facebook event she said, "We really made it as a joke." Several posters to the event were perplexed, cynical or both, questioning how spending money on Doritos would send the company a critical message. One person wrote, "There is no ethical consumption under capitalism." Letizia and Fryling said they were surprised by the internet response to their rebellious act of satire. 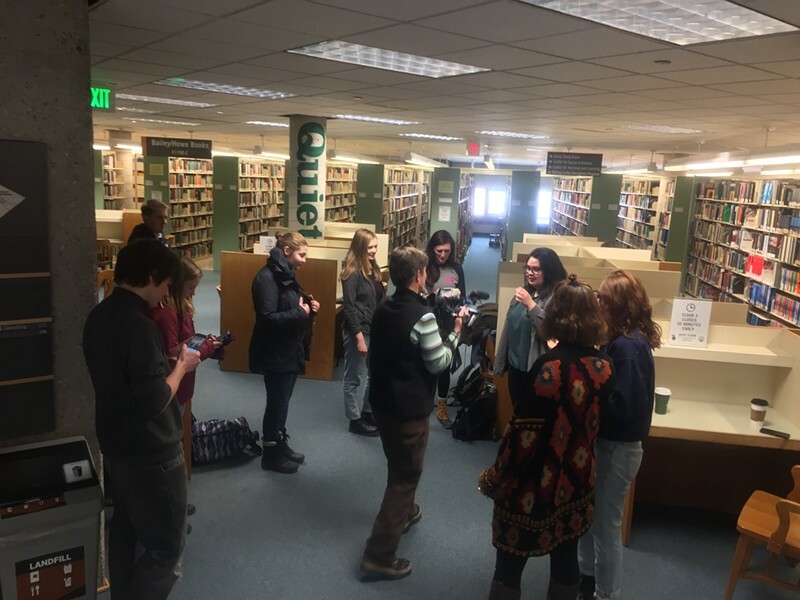 Perhaps fortunately — at least for unsuspecting bookworms — actual turnout did not correspond with Facebook interest: Eight students came out for the crunch-fest, Letizia and Fryling included. 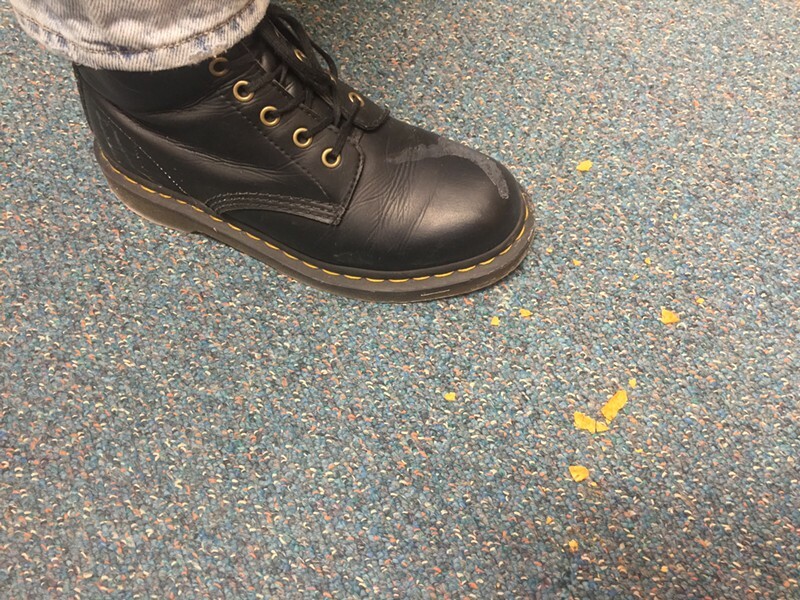 One student showed up with a modestly sized bag of Doritos in hand, the only Doritos present. Around noon, the bag was opened and passed in a circle. Along with 7D, NBC5 was on hand to document the odd performance. The Doritos circle at UVM's Bailey/Howe Library. "I feel particularly masculine eating these Doritos," joked Julia Sioss, a UVM freshman. "I saw the Facebook group and I couldn't resist," she added. Lily McAdams, a junior and friend of Letizia and Fryling, noted that she thought people's responses were "less about wanting to show up for the event and more about their reaction to the article, to say, 'Yes, I think [Doritos is being] stupid.'" 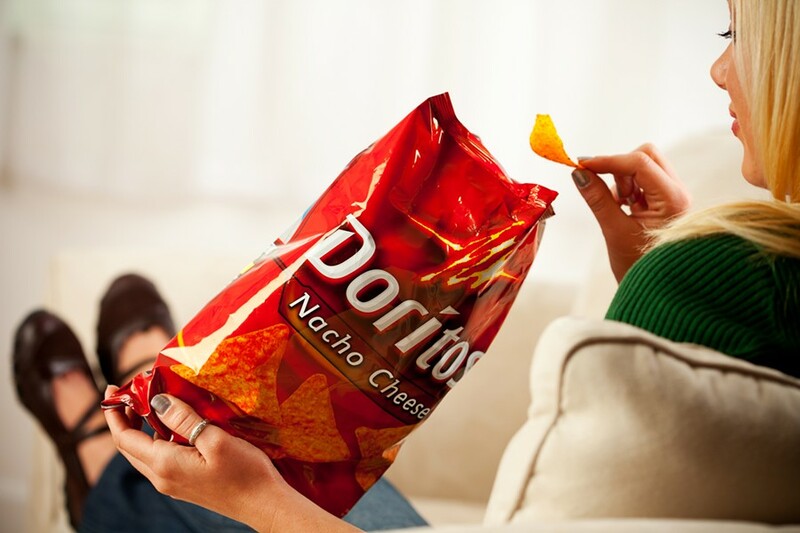 Dished a large helping of internet criticism, Doritos revised its statements a day after NPR's story was published. NPR issued this update: "After coverage of Doritos designed for women spread, the company told AdAge it is not working on a 'specific Doritos product for female consumers' and said that 'needs and preferences continue to evolve and we're always looking for new ways to engage and delight our consumers.'" In these days of social media, memes and immediate consumer response, rebuking ad campaigns seems like an art form of its own — more fun, perhaps, than issuing measured praise. Nooyi, for example, also noted in her Freakonomics interview that when PepsiCo acquired beverage company SoBe, they immediately dropped "Liposuction" from the product SoBe Lean: Liquid Liposuction. Both Letizia and Fryling admitted they didn't make a habit of eating Doritos before encountering NPR's story. Are they going to continue not buying Doritos? Most likely, they said. The message to PepsiCo seems loud and clear: Next time, maybe don't try so hard.